Gerald Otis Blanchard was born on June 1, 1925, in Charles City, the son of Ernest and Kathrine (Shoup) Blanchard. Gerald graduated from Charles City High School. He served his country in the United States Navy for two years. After his honorable discharge, Gerald spent four years in Bible Seminary in Oregon. He married Janice Jones. They later divorced. Gerald was a minister and also worked for Council on Aging for many years until his retirement. Gerald spent his life serving God and helping people. 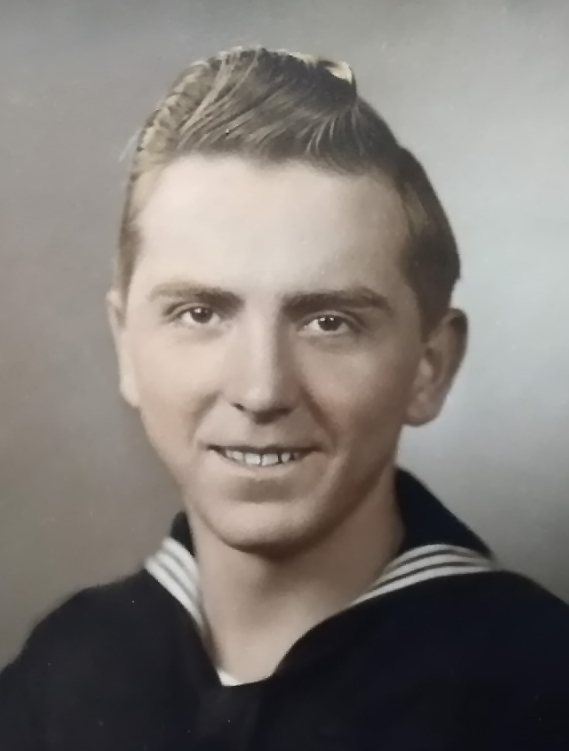 Gerald died at the age of 93 on February 1, 2019, at the Iowa Veteran’s Home in Marshalltown. He was preceded in death by his parents; a son, James; two brothers, Harold and Kenneth; and two grandsons, Justin and Randy. Gerald is survived by a special friend of many years, Judy Niedert; six children, Paul (Terri) Blanchard, Charise (Michael) Miller, Naomi (Michael) Palomarez, Rebecca Vaughan, John (Roberta) Blanchard, and Sharon (Arnold) Schares; 14 grandchildren; and 27 great grandchildren. The burial will be at Waterloo Cemetery with Military Rites conducted by the Evansdale Amvets Post 31 and the Waterloo Amvets Post 19.